Did Martin Brodeur's Window Just Crack Back Open? 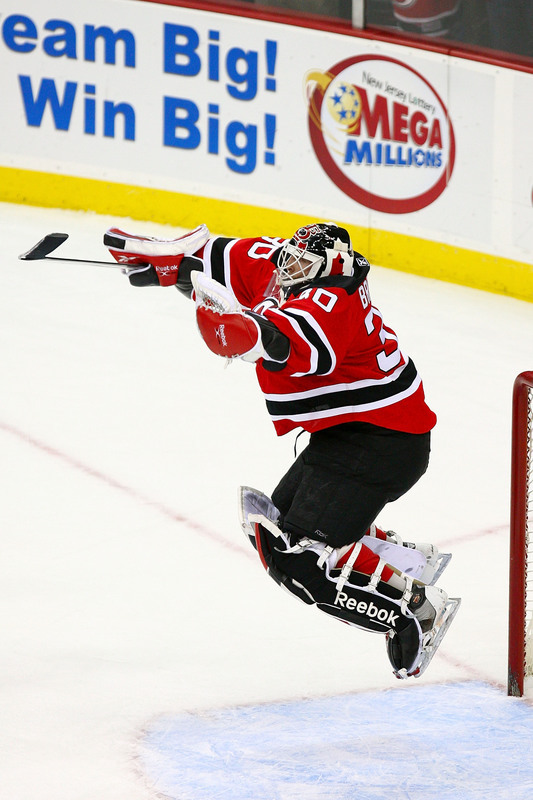 Did Martin Brodeur’s Window Just Crack Back Open? With the injury sustained to Brian Elliott against the Senators, the obvious question surrounding emergency backup options is now back at the forefront. Fans hoped that by jettisoning Jaroslav Halak, a fine goalie with notorious injury issues come Springtime, the health and stability of the position was reinforced with the promotion of the capable Jake Allen. Now with Allen at the helm, thoughts turn to the other guy. As of this writing, Jordan Binnington was recalled from the Chicago Wolves. However, this young goaltender remains untested at the NHL level, and may force Allen to play almost all the games remaining until Elliott returns from his injury. Although other options abound, the most tantalizing name is of course Martin Brodeur. Is the 42 year-old goalie ready to step back into an NHL net after so much time off? Could Martin Brodeur’s last hurrah be in St. Louis? 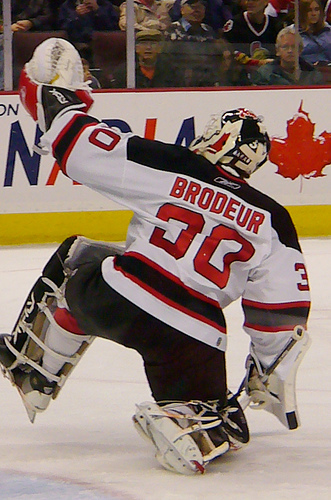 Martin Brodeur has played for numerous New Jersey teams that defensively bear resemblance to today’s Blues squad. Like the powerhouse Devils teams of yore, today’s Blues teams typically surrender less than 30 shots per game. Some goaltenders struggle with this, but Brodeur never has. The multiple-Vezina winner has proven on multiple occasions that he can maintain stalwart focus during long stretches of inactivity, truly dialing it up in the postseason. This last point might be what pushes Blues management to make this move: they, like the rest of the ever-patient Blues fanbase, is tired of goaltending that doesn’t live up to its expectations. Should the team choose to rely on the younger and supposedly more durable Allen in the regular season, turning to the crafty veteran Brodeur to close the deal in May, the Blues may have its best shot in years to finally hoist the Cup. Imagine this scenario: The aging Brodeur, still without contract in November of 2014, joins a team with perennial struggles in the postseason to close his career out by delivering a Stanley Cup to one of the remaining few teams without one. Thoughts of Raymond Bourque enter the mind, leaving Boston after many years to get his last crack at the Cup — and getting it done. Marian Hossa, snakebitten as he jumped from Pittsburgh to Detroit in hopes of winning a Cup, finally won in another city entirely. St. Louis’ golden football boy Kurt Warner nearly got it done again with, of all teams, the Arizona Cardinals, falling just short. These stories among many are proof that in sports, the degree of unlikelihood surrounding an idea doesn’t seem to lessen its probability. In fact, it’s these type of dream-sequence things that makes sport as magical as it can be. For that reason alone, the idea of adding Brodeur to a strong Blues roster seems to have more pull than logic dictates. It’s a story waiting to be told, adding to the Hall of Famer’s impressive statistical record. After all the Stanley Cups, gold medals and Vezina Trophies, the only thing missing is a purely emotional story that defies statistical evaluation, not to mention age. 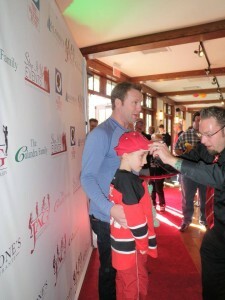 Martin Brodeur’s love for his fans is always reciprocated. 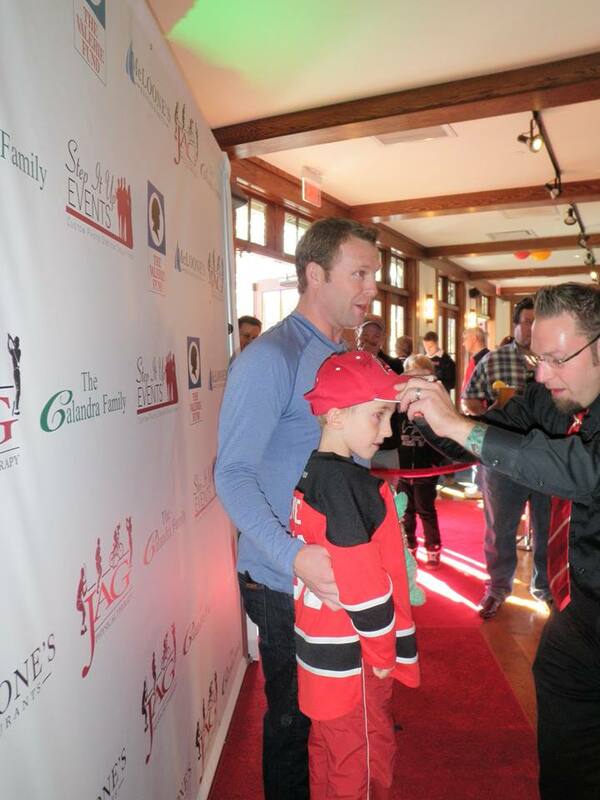 Martin Brodeur has been around so long that many younger fans might not even know who he is. Hockey fans, and especially season-ticket holders that are tired of watching early flameouts, would be instantly intrigued. And it’s not like Brodeur is an off-putting personality — his inherent affability would strike a chord with casual St. Louis fans, while showing that Blues management is serious about winning a Cup and maintaining the type of all-in desperation that unfortunately fizzled after the Ryan Miller experiment. Provided Brian Elliott’s injury is enough to sideline him to the All-Star break and potentially beyond, Blues management owes to it to its loyal fans to add a proven winner, and Brodeur has earned the right over the decades to another crack at glory.